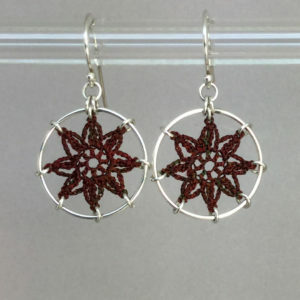 These are Leisa’s original designs, smaller and considerably simpler. 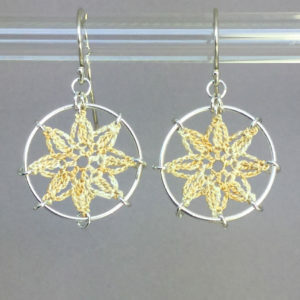 Diameter is 7/8″, about the size of a nickel. 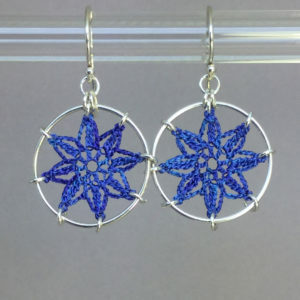 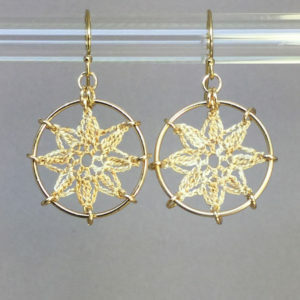 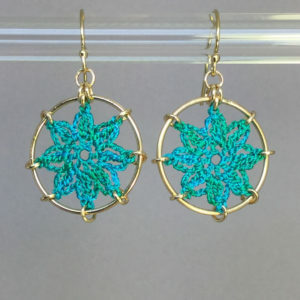 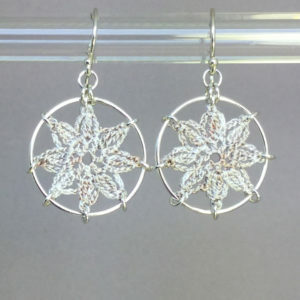 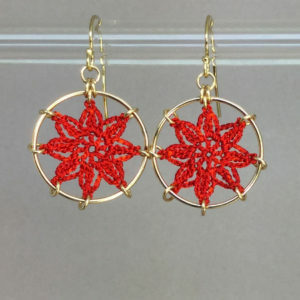 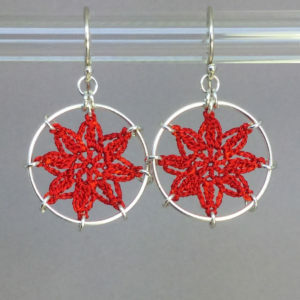 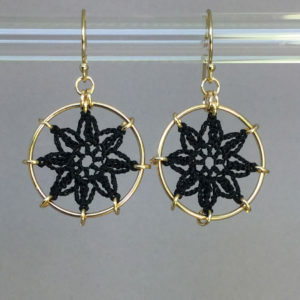 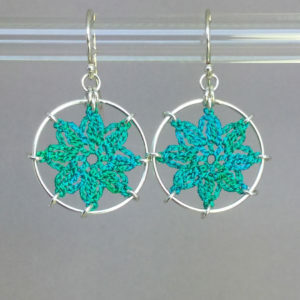 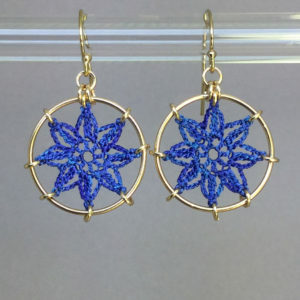 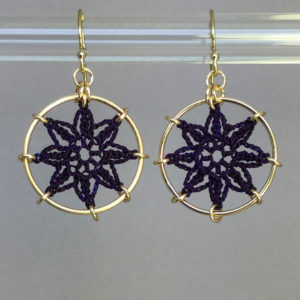 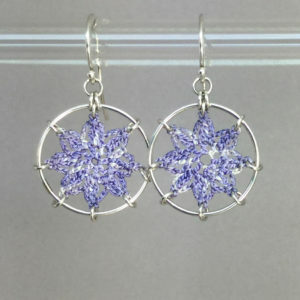 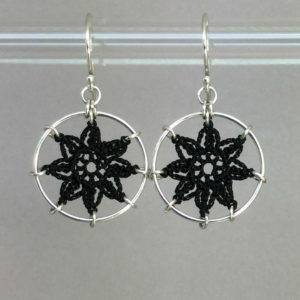 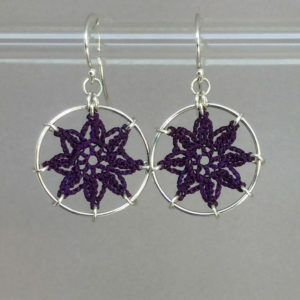 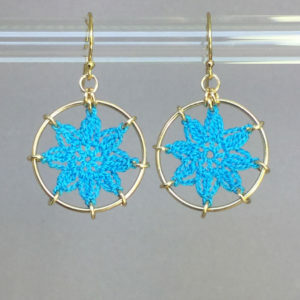 View cart “Compass Rose doily earrings, shamrock green hand-dyed thread, sterling silver” has been added to your cart.